What is the Next Chapter Book Club? 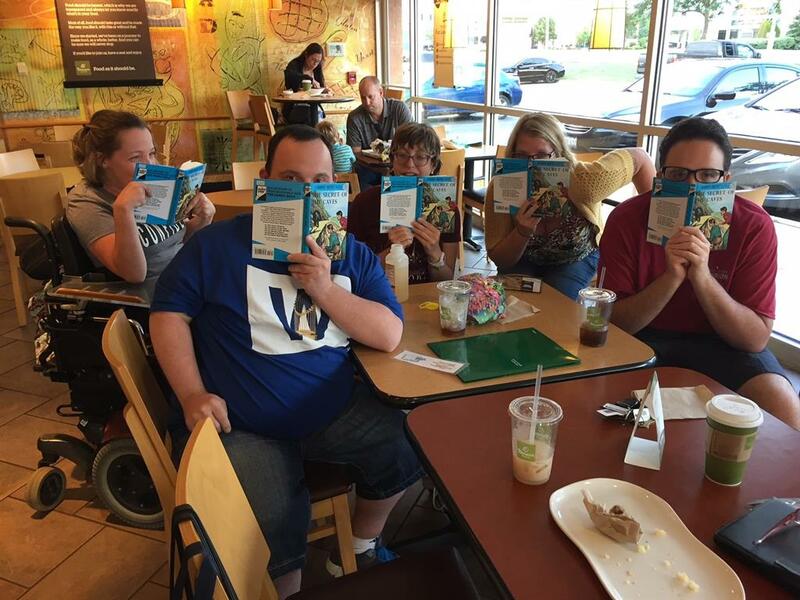 Teens and adults with developmental disabilities reading and learning, making friends, and enjoying a fun community gathering place. We currently have two book clubs meeting at 2:30 pm (at Katie's cup) and 6:30 pm (at Panera Bread, Rt. 173). New members are encouraged to RSVP at 815-965-3455. Feel free to drop in to check out the club; there is no obligation to join, but you will probably want to become a member! Why join the Next Chapter Book Club? NCBC members improve literacy skills, make friends, take part in the community, and have a lot of fun doing it!